These will have to be purchased and made the day before the wedding, but it is possible. These can be so much fun and people will enjoy them. You should use fruits that don't require silverware. Fruits that would be good are apples, grapes, peaches, pears, or plums. Put these fruits in a basket with a bowl on top or on a decorated plate. 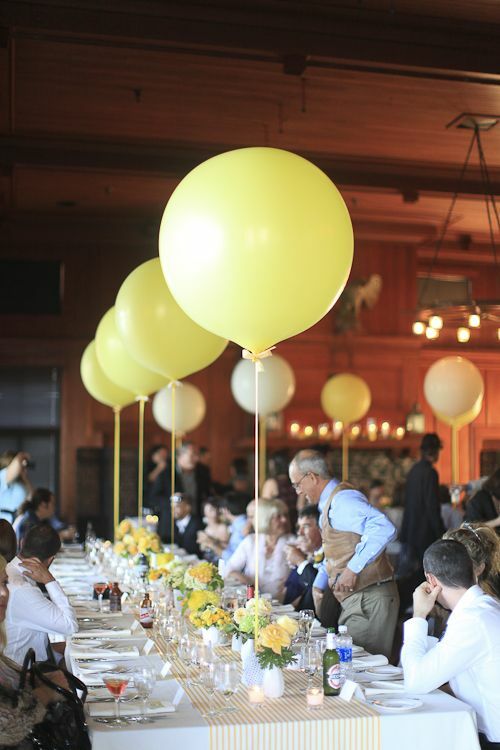 Balloons may not be homemade, but you can still come up with homemade wedding centerpiece ideas using balloons. One way is to purchase two to four balloons for each table. They should match the colors of your wedding. Then use balloon weights that you can purchase at the balloon shop to keep them on the table. If you don't want to purchase the balloon weights, you can make them yourself. There are a couple of ways you can use decorative marbles as homemade wedding centerpieces. Purchase vases for each table and enough marbles to fill each one half full. 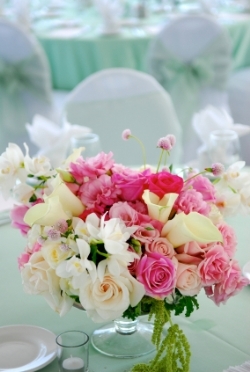 Then add silk flowers that match your wedding colors. The other option would be to add marbles to a mirror and have confetti all over the table clothes. You can put a candle in the middle of the mirror as well. 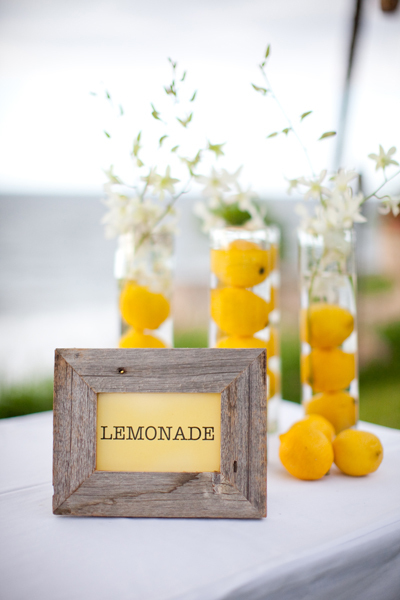 Homemade wedding centerpiece ideas for themed weddings are great. You can get some fun pieces for these at hobby stores or fabric stores. 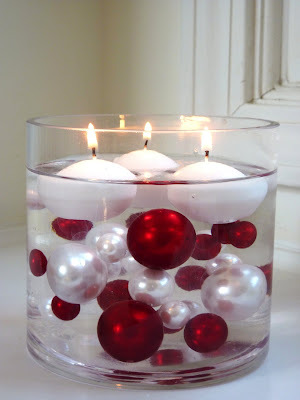 There are a number of centerpieces you can make if you are getting married during a holiday season. For example, if you are getting married in December, you can make a centerpiece that has pine cones in it. 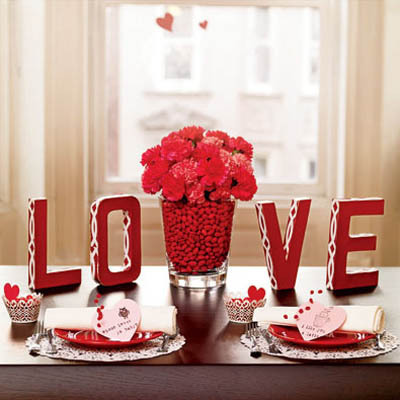 If you are getting married in February, you can use Valentine's Day decorations in your centerpiece. Homemade wedding centerpiece ideas with flowers are beautiful no matter what you do. 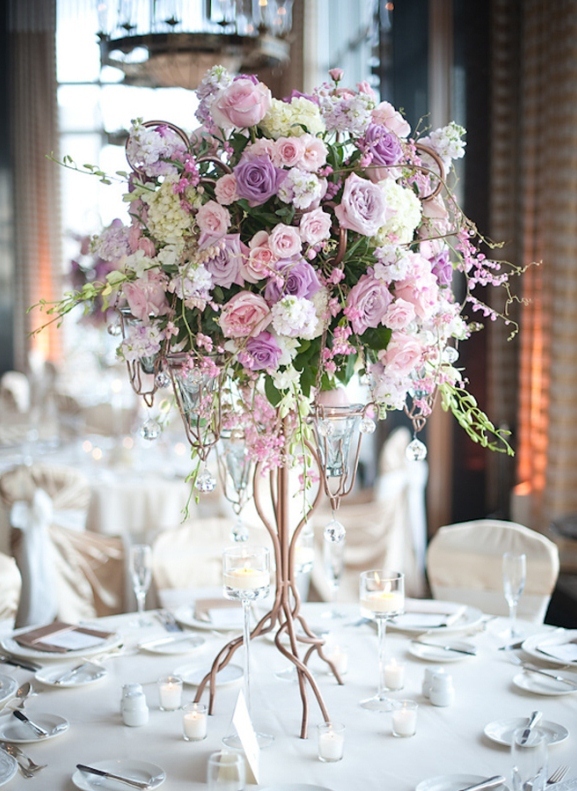 You can purchase vases and add silk flowers that match the flowers in your wedding. Add a bow that matches the colors and you are set to go. 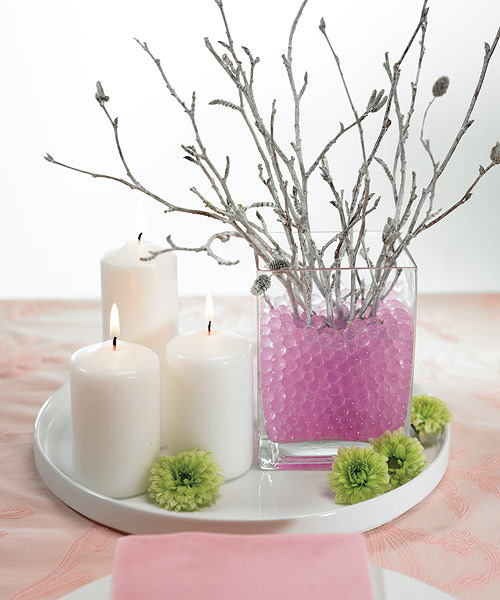 You can also create centerpieces that are similar to your bouquets as well. The centerpieces on the tables are the highlight of your reception. People will talk about them for days ( and maybe months) to come. When you use these homemade wedding centerpiece ideas you can be confident that they will have a positive impact on your guests because they came from your heart, with a personal homemade touch.